Marketers are already aware of digital marketing trend, and they scheme their branding process according to the current trends. But many times they forget to focus on social networking or are not prepared enough for it. In that case, the simplest solution is to utilize digital marketing trends for social networking as well. This strategy will save your time, money and energy as well. 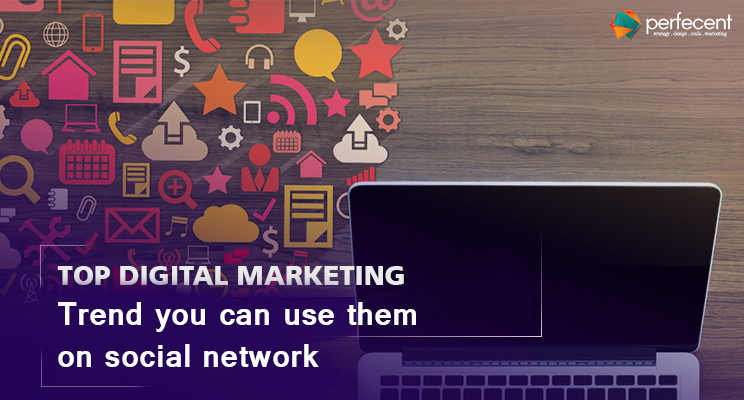 In this blog, you will read about some digital marketing trends you can use for social networking as well. According to 2017 and 2018`s statistics videos are the center of digital marketing trends. It is almost palpable to use a brand`s video on the landing page of the website. The same video can be used for social networking and relationship building with customers and related audience. You can share the video on your social media pages and can ask people to view your brand`s video. Live conversation via video is a way to build links with potential customers, and companies who can favor you in any way. Live videos are considered as responsive, and people view them often. It’s good to have one on one communication with the people to mark your brand`s value in the market. AR technology allows users to experience something before being delivered to them. The technology gives a perception of reality and users are allowed to vision more regarding any specific brand or its products. Products photography can play a role in creating a valuable image of the brand. Images copied from Shutterstock, pintrest, etc. are cool, but people want to see the original product and its uses. Stylish product photography with a suitable theme attracts the audience, and people feel an urge to try the product. Shoots at hotels, parks, events, etc. are an excellent source to expand your personal and business relations. You can ask celebrities and social media popular sensations to join and promote your contest. Usually, people follow trends and participate in contests or such activities. These moments provide a platform to mingle with people and elongate your business relations. For free coupons, gifts or products people not only participate in contests but also spread the words through social media and other podiums. Hopefully, you liked reading above information and will apply these tactics in to design the strategies of your future marketing plans.